NASA led a huge test to track an asteroid as it flew past Earth, a critical development in the agency's efforts to protect us from asteroids. An international team of scientists led by NASA have just completed the first attempt at a wide-scale test of global response capabilities using a real asteroid. The TC4 Observation Campaign began back in April, and it kicked off in earnest back in July, when the European Southern Observatory’s Very Large Telescope tracked the asteroid. 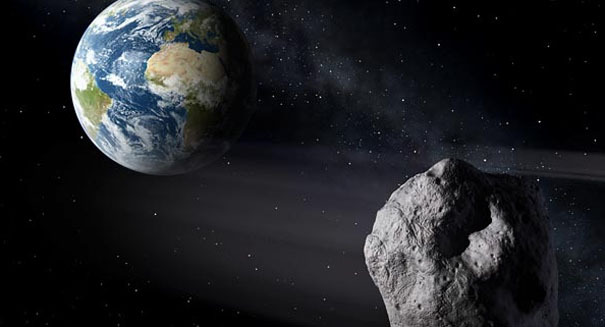 The purpose of the test was to recover, track, and characterize a real asteroid as if it could impact the Earth, and then test the International Asteroid Warning Network on how well it could model and predict the event. The asteroid they tracked was 2012 TC4, which is about 30 to 100 feet in sizez and flew about 27,200 miles from Earth. Astronomers from all around the world participated in the test. Scientists were able to precisely calculate the orbit TC4 as well as determine its flyby distance. It came at its closest point back on Oct. 12.